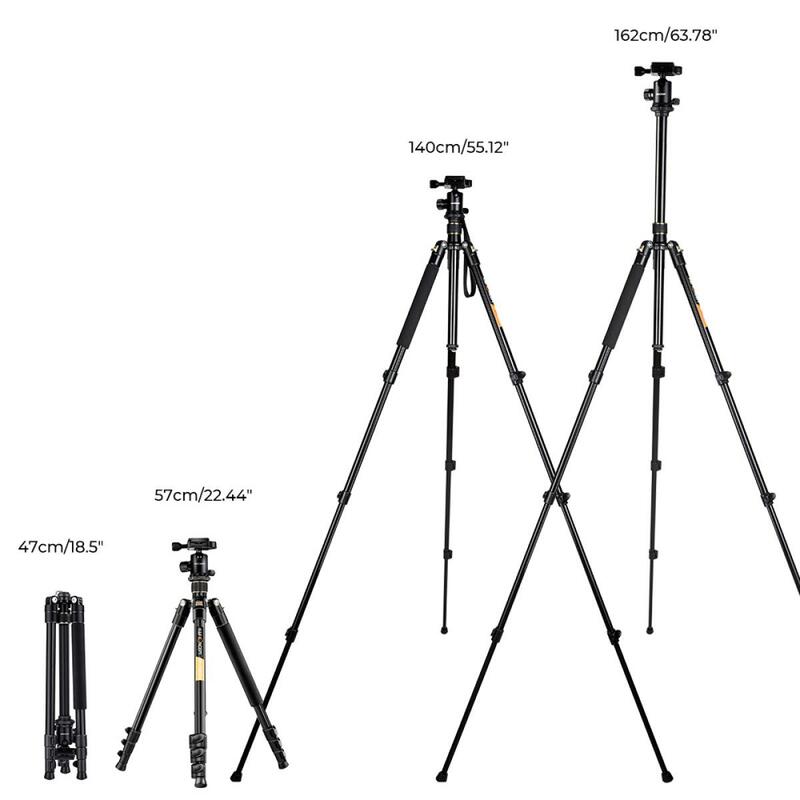 • Center Column Height Reduction: The bottom part of the center column is removable. 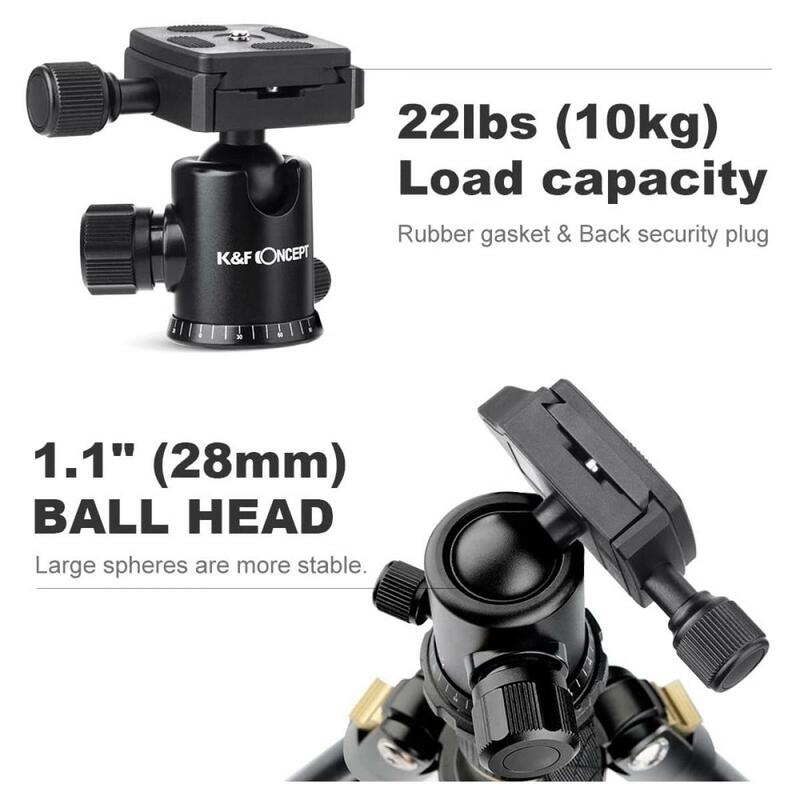 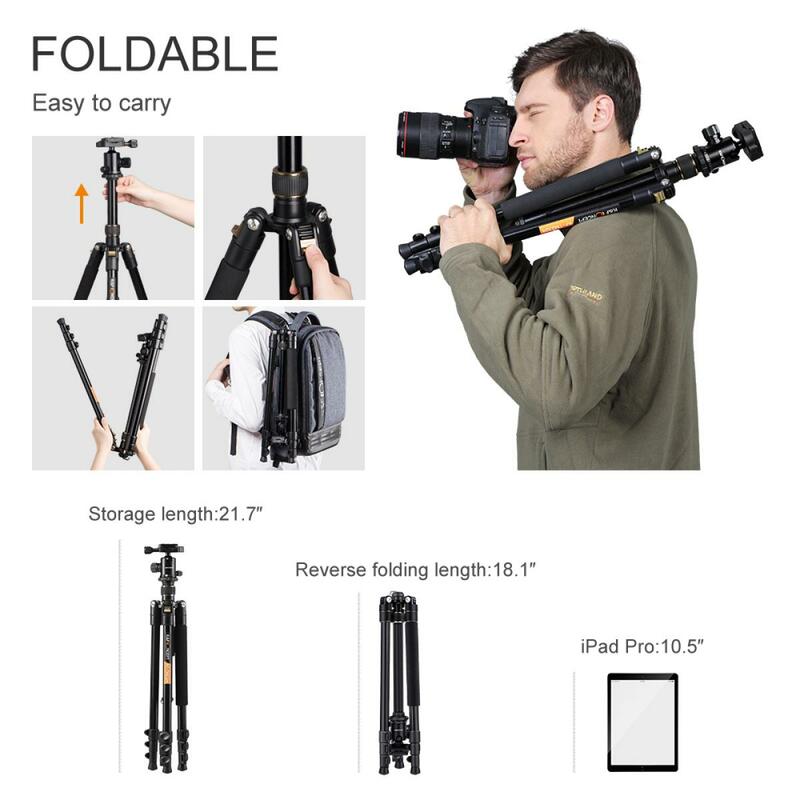 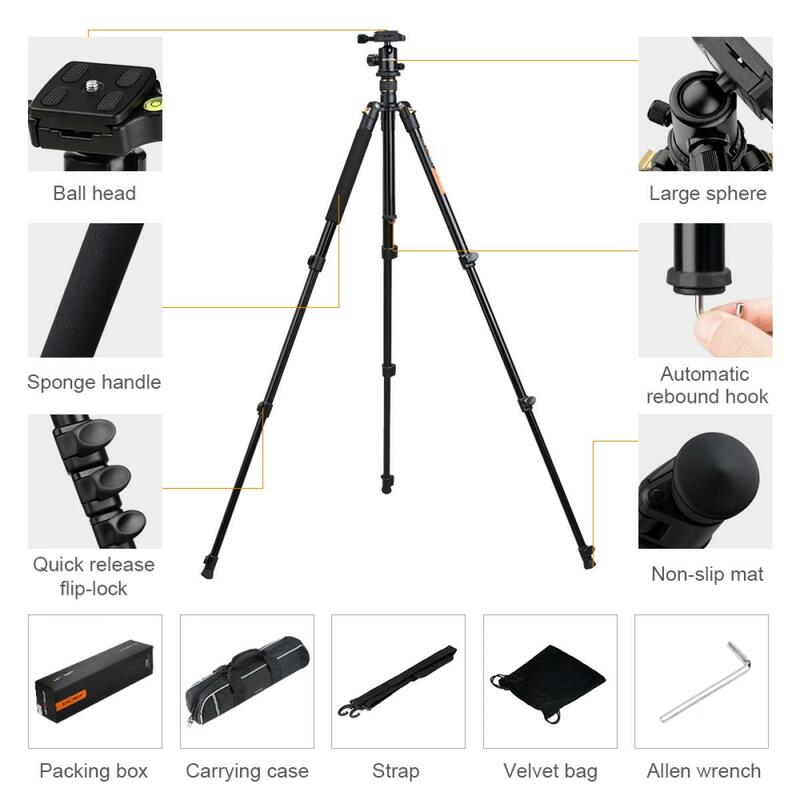 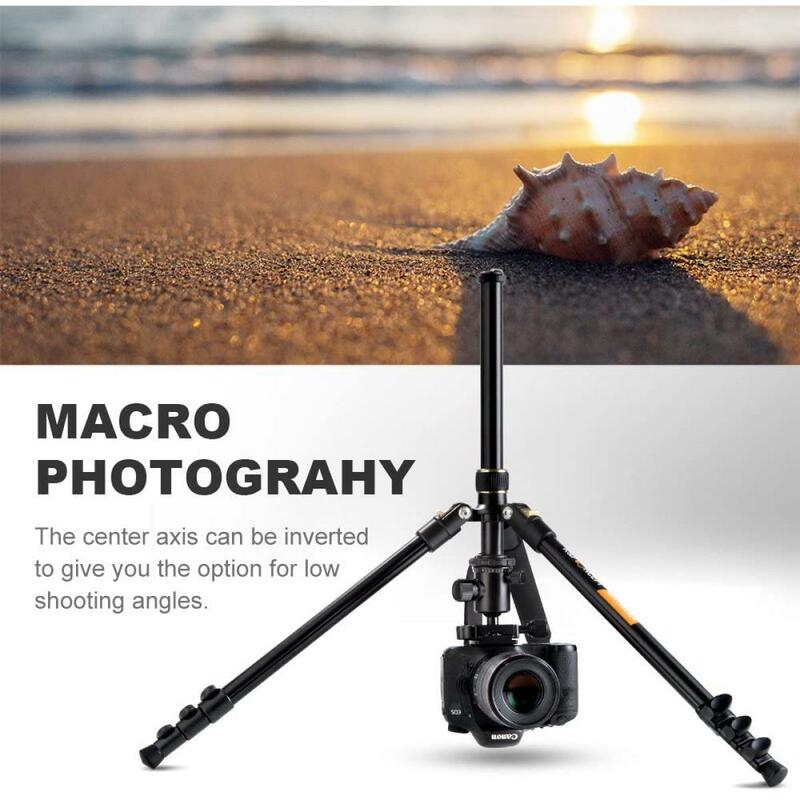 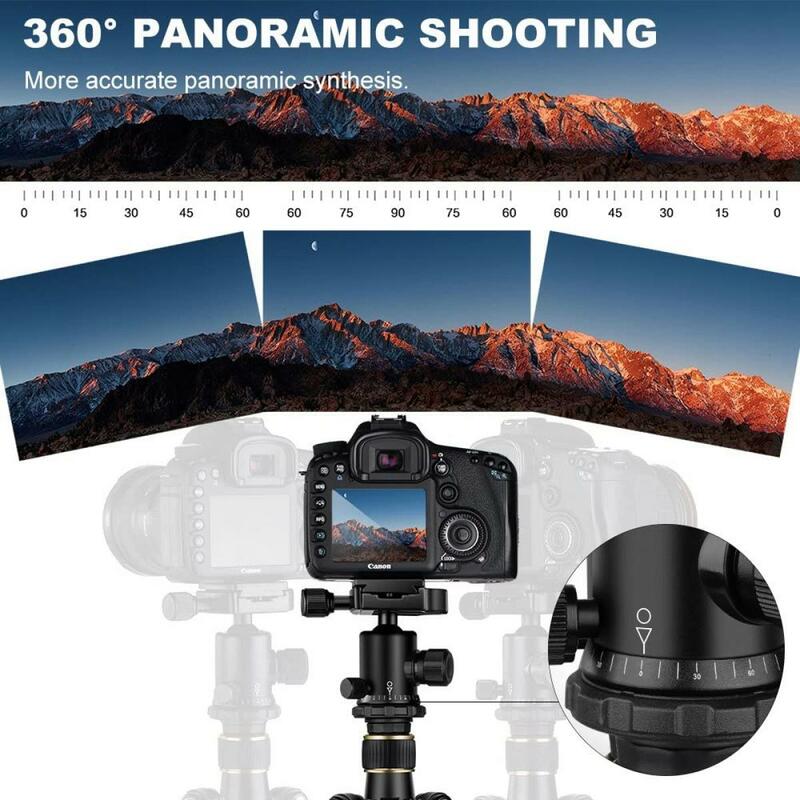 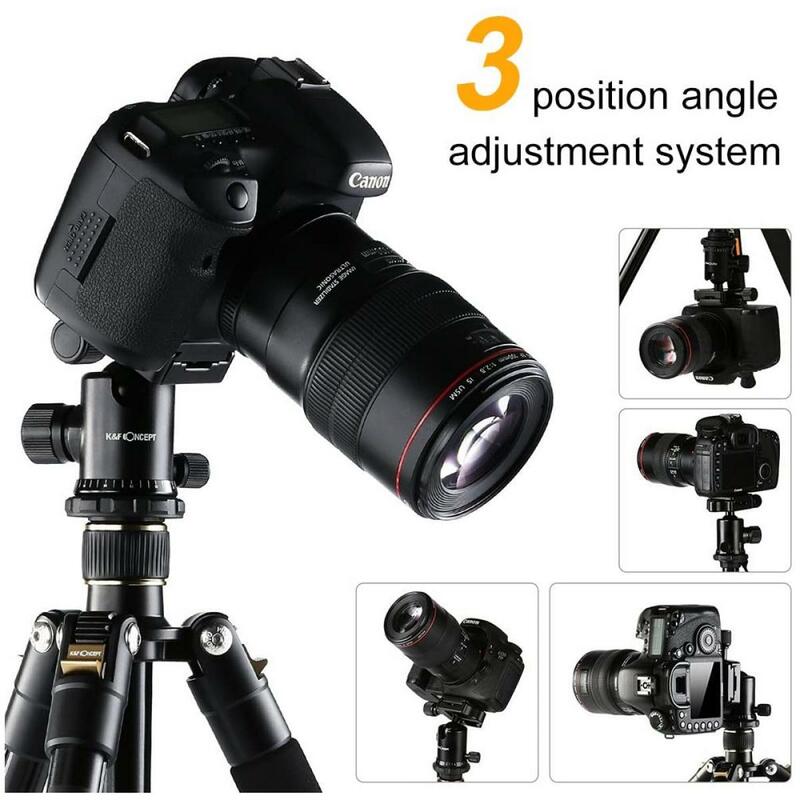 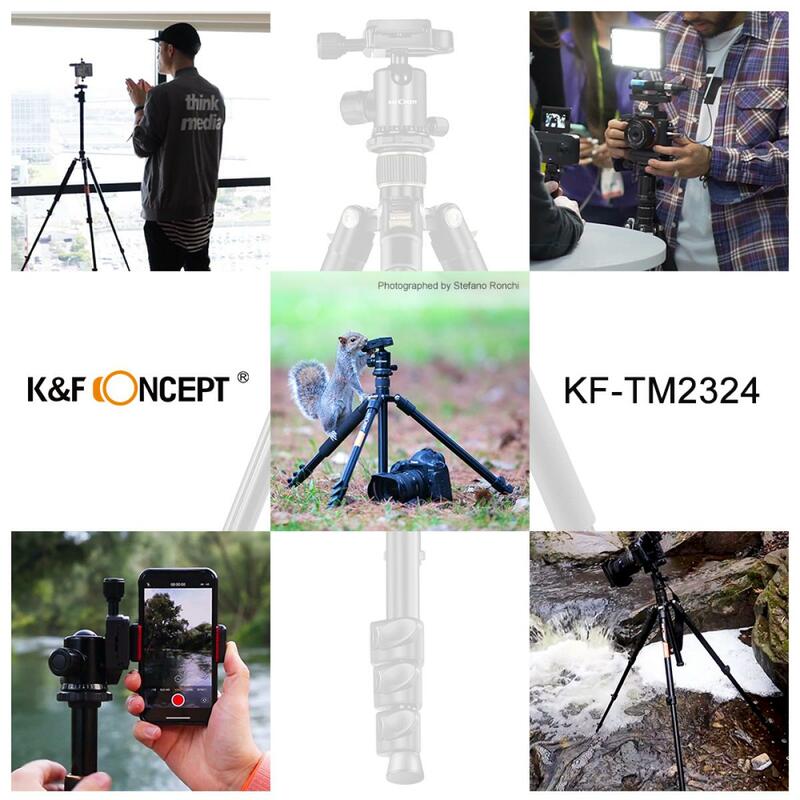 The center column is still reversible to achieve low angle shots;Recessed Center-Column Hook: A spring loaded recessed hook located in the bottom of the center-column, allows you to hang additional weight from the travel tripod\'s center of gravity for increased stability. 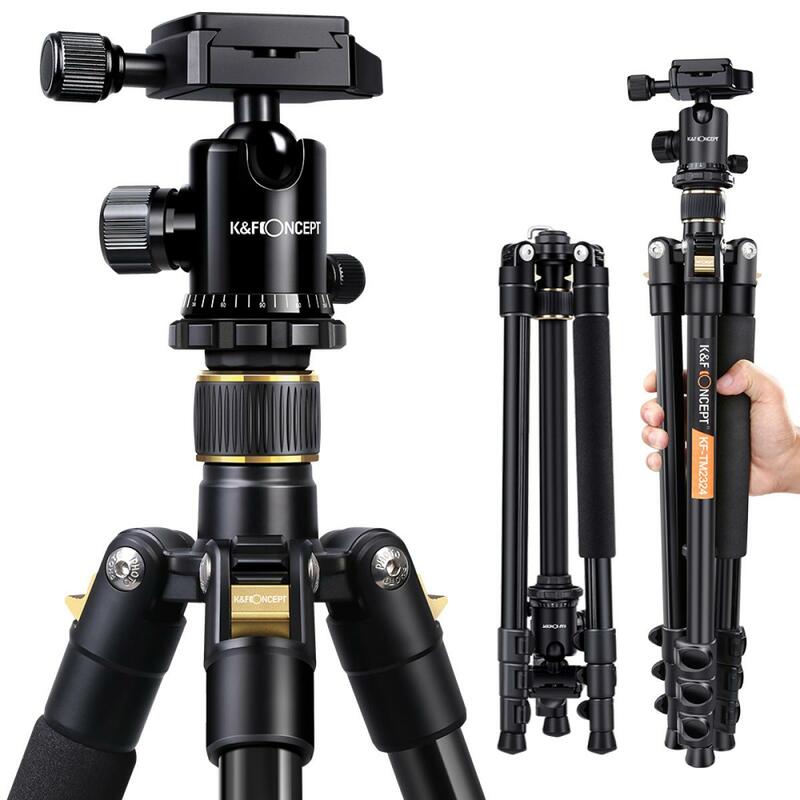 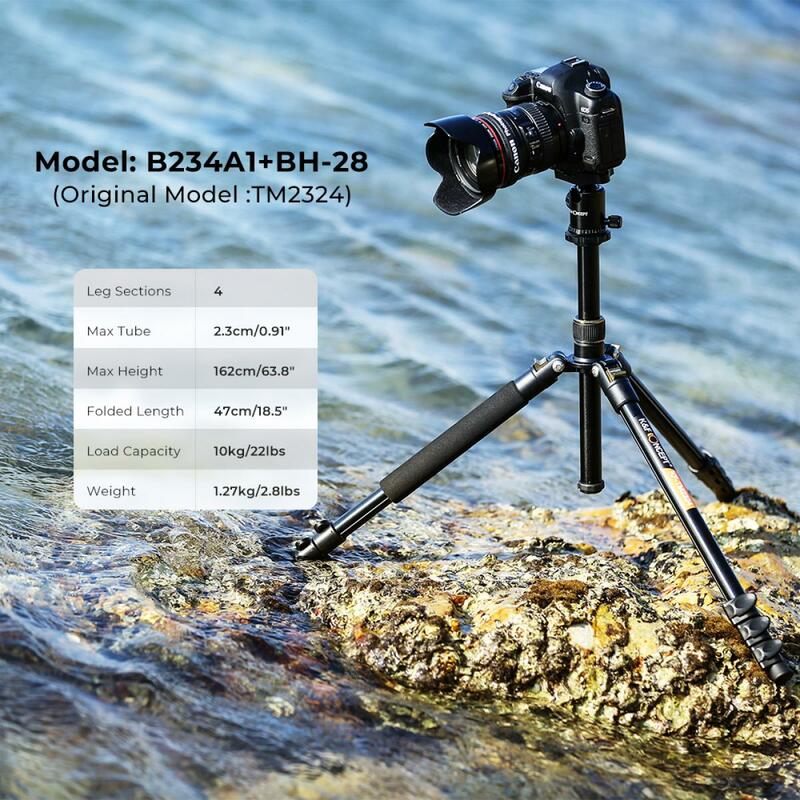 • Quick release leg locking, giving a more convenient leg handling; Pull-out button angling adjustment, ensuring single adjust of each leg Typical regulating design of elevator, offering the different damping effect depends on the weight of your camera. 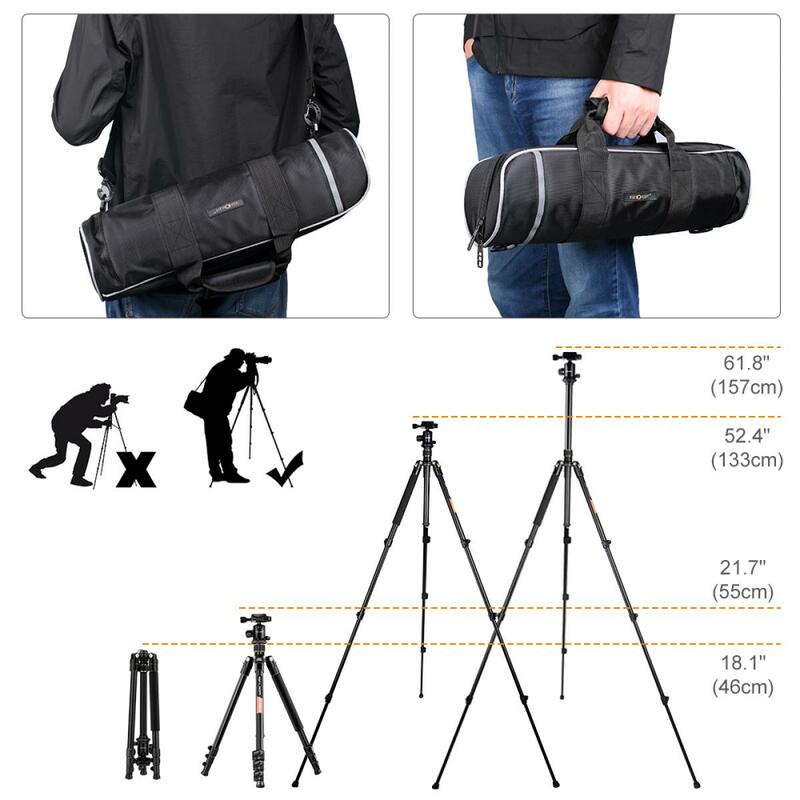 • LIGHTWEIGHT: Weights 4lbs(head included), ideal for indoor and outdoor photography. 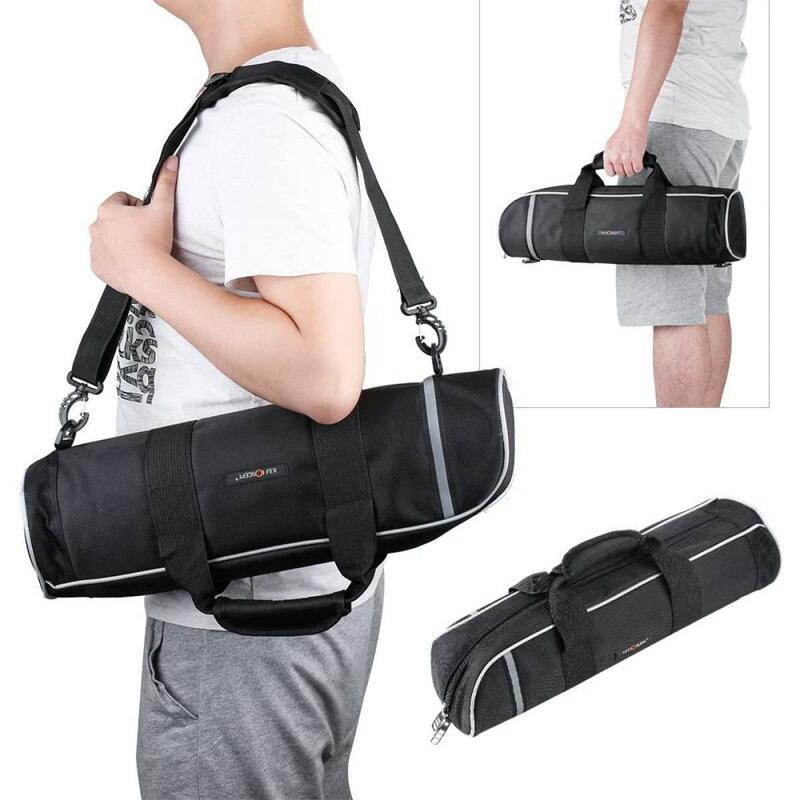 You can take it anywhere making it perfect to all events, such as sports activities, camping, family gatherings and much more.